Avocados are one of our all-time favorite superfoods--they're ultra creamy, have a stunning color and can be added to everything from heart-healthy desserts to protein-packed sandwiches. 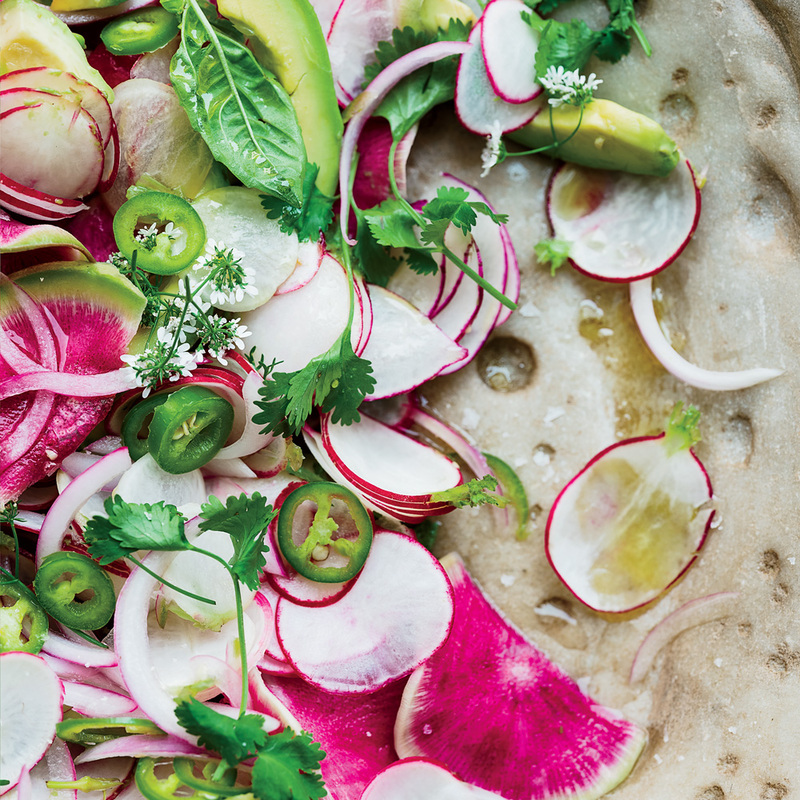 One of our favorite ways to enjoy avocados in their purest form is in a salad. 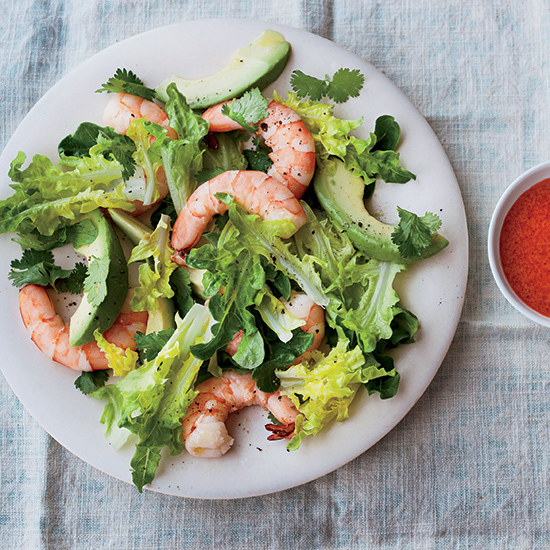 Toss sliced avocado with juicy citrus, tangy red onion and leafy kale for a flavor-boosted side dish, or add mashed avocado to creamy dressings for mixed greens, bulgur or quinoa, or grilled shrimp salad. 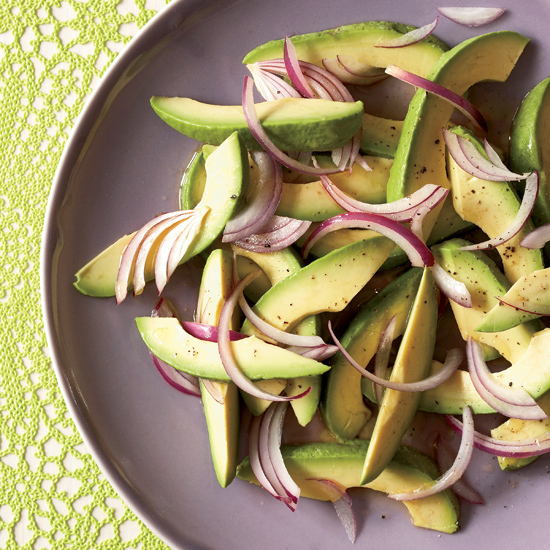 Whether you’re looking for a light and delicious side dish or a super food-fueled lunch, try these avocado salad recipes for a healthy and delicious option. Here, our best recipes. 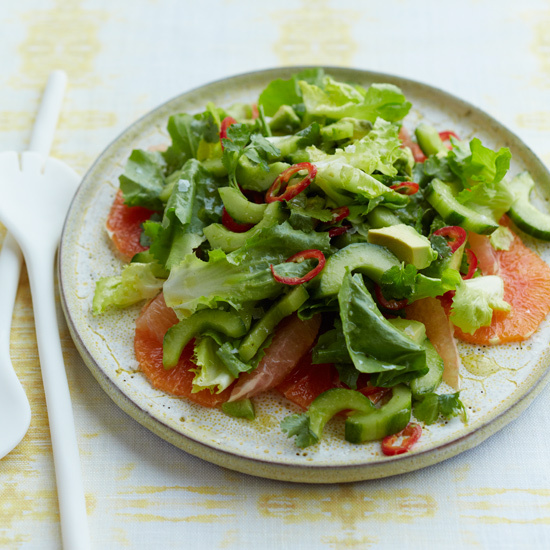 Smashing ripe avocado with olive oil, lemon juice, honey and garlic creates a fantastic, creamy and lightly sweet dressing for this hearty salad by Molly Chester. 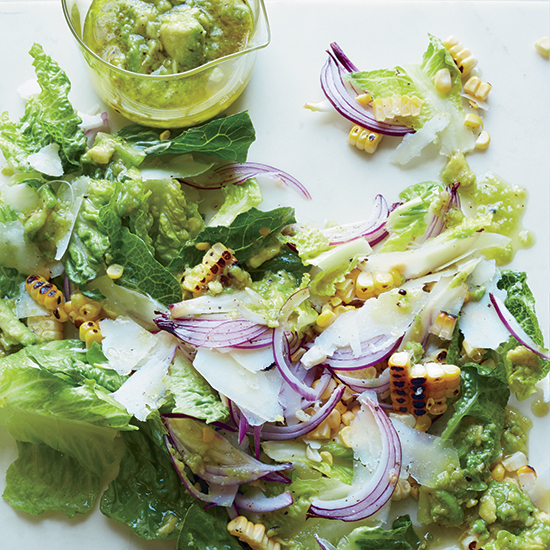 Use fresh corn when it's in season for a sweet, tender crunch, and add tangy red onion for just a little bit of spice. Garnish the finished salad with a generous handful of shredded pecornio cheese to give this flavor-packed dish even more richness. 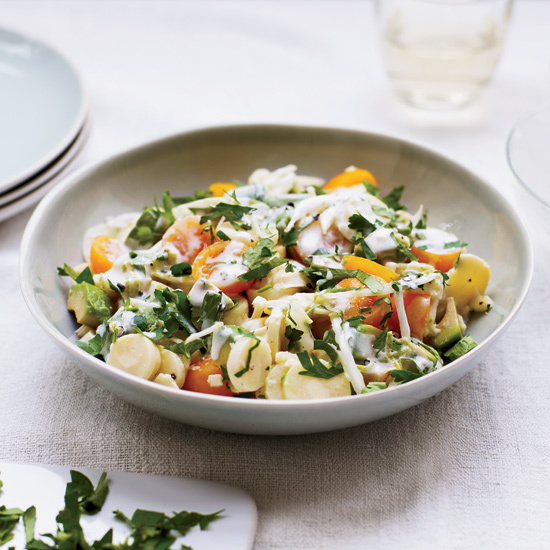 Make this salad meal-worthy by adding leftover rotisserie chicken, grilled steak or creamy chickpeas, or serve as a light and bright starter or side dish with dinner. 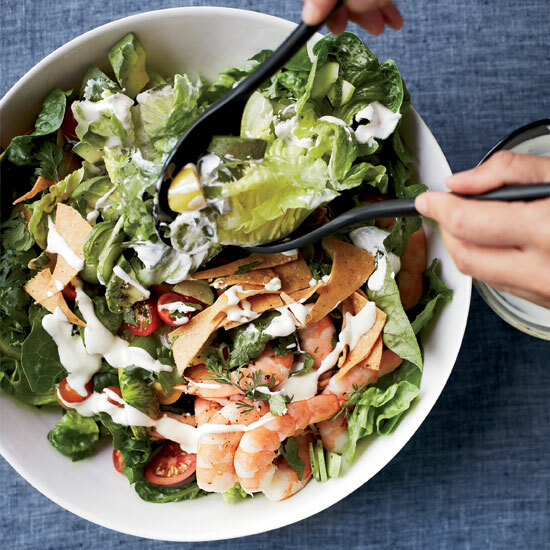 This Brazilian-style salad might taste a bit rich--with creamy avocado and a mayonnaise dressing--but it's really quite healthy. 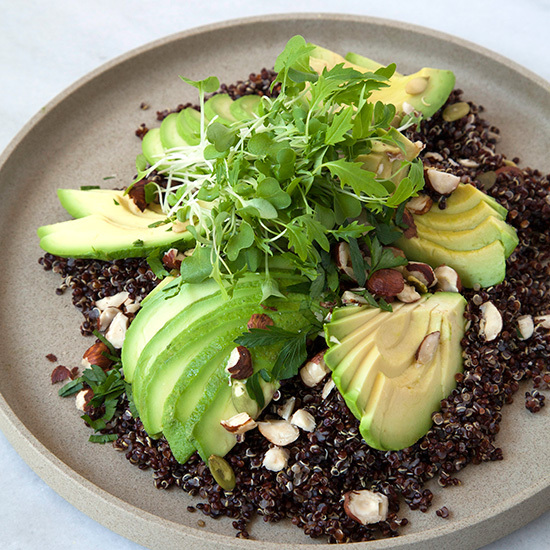 This salad features thinly sliced avocado arranged over a bed of quinoa. It's drizzled with good olive oil and sprinkled with flaky sea salt and toasted hazelnuts. It's also excellent tossed with a side of fresh greens and herbs. 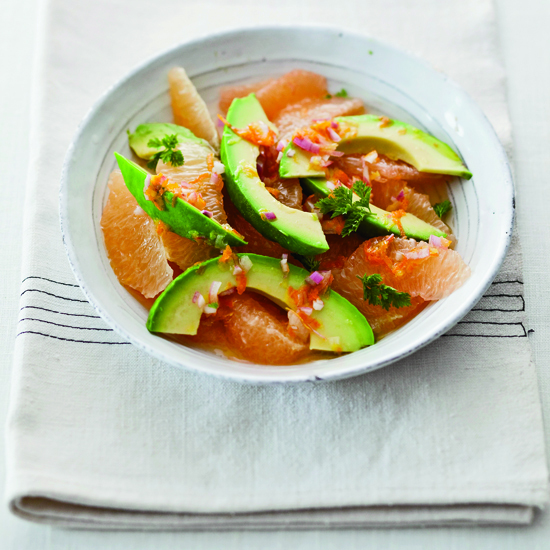 In Sausalito, California, chefs Joanne Weir and Gonzalo Rivera get incredible citrus, so they created this salad to showcase it. Here, the fruit is served with Mexican-inspired dressing and garnishes. Chef Jonathan Waxman makes his tangy goddess dressing red instead of the classic green, using red bell peppers for color and flavor. 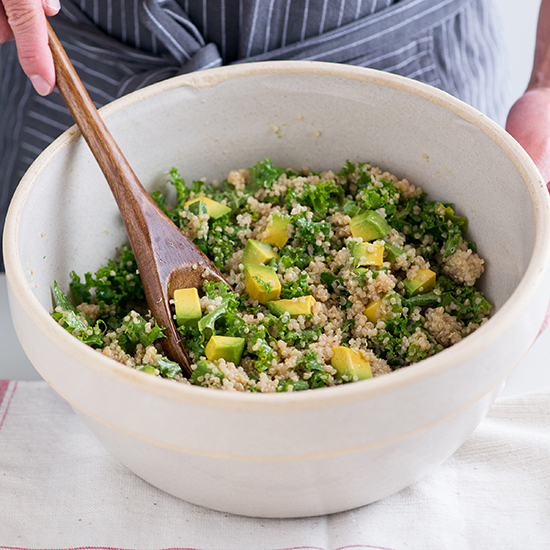 Loaded with healthy kale and creamy avocado, this great quinoa recipe is both satisfying and full of flavor and texture. 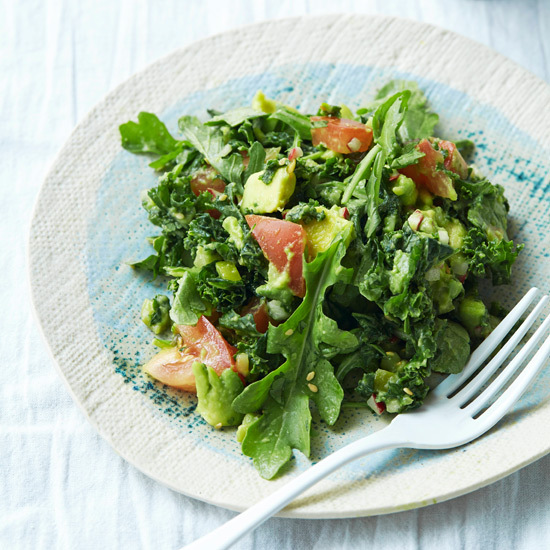 Since people in Cuba don't usually have ready access to salad greens, Lourdes Castro says, many will start a meal with this simple avocado salad instead. Cubans tend to use Florida avocados, which are widely available in the Caribbean; they're larger and smoother than Hass avocados, stay bright green when ripe and have a mild, slightly sweet flavor. "Lettuce is one of my favorite foods--people laugh at me because of it," says Cathy Waterman. She loves to eat it in a salad with lemons that she preserves herself. "They add brightness to so many things," she says. 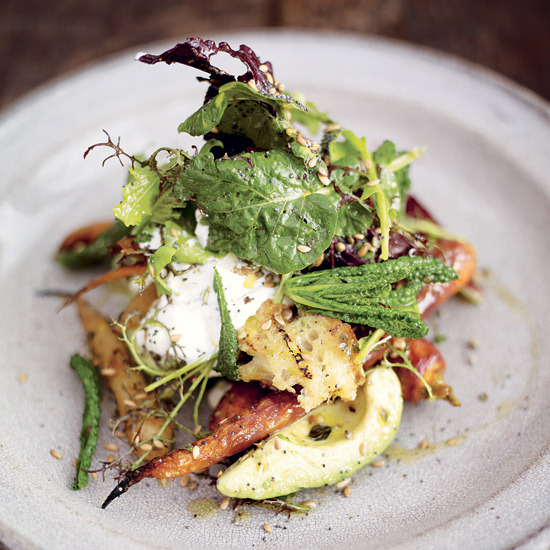 This Moroccan-spiced salad combines vitamin A-rich carrots and heart-healthy avocados. Jamie Oliver's favorite method for preparing carrots (as well as beets) is to first parboil them, then toss them with a dressing and roast them to intensify their sweetness. Alfred Portale makes a spectacular avocado terrine that he serves alongside sliced chicken and a bulgur wheat salad. 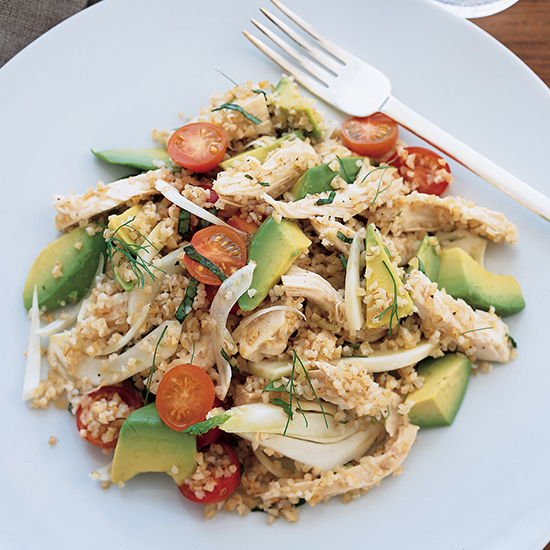 Here we tossed chunks of avocado with chicken and bulgur to create a less dramatic but equally delicious salad. 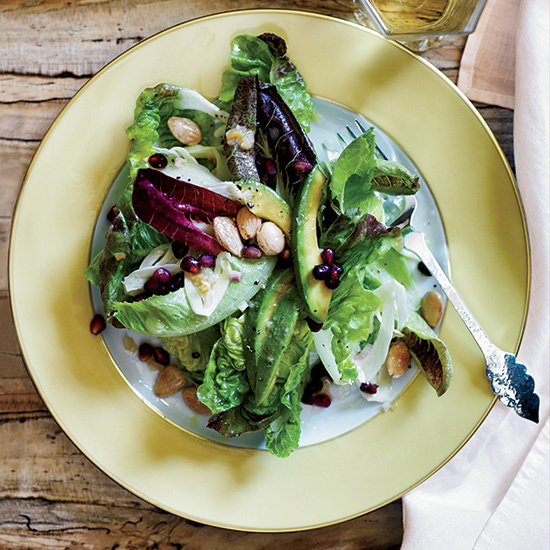 Both bright from lime juice and buttery from diced avocado, this salad from Lorena Herrera nicely balances any menu with spicy, smoky, braised or slow-roasted flavors.